Great dental health for your child is more affordable than ever thanks to important healthcare initiatives. Affordable pediatric dentistry is now law thanks to the Affordable Care Act. The ACA states that children deserve dental care as an “Essential Health Benefit.” This doesn’t mean that kids must have dental coverage by law, like it might sound. No, the point is affordable pediatric dentistry should be AVAILABLE in the healthcare marketplace. For state-run establishments and the federal marketplace, pediatric dental care is available in plans as part of a bundled package. 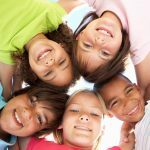 Why is affordable pediatric dentistry important? 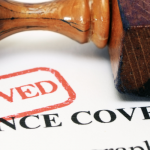 Even with the new rights and benefits conveyed by the ACA, many families struggle to pay for dental insurance. In addition, a visit to the dentist is, simply, not the first thing that parents think of when taking care of a child. If there’s no problem, why go? 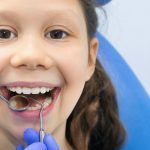 But the truth is that going to the dentist as a child is one of the most important things you can do to ensure your best possible health in the long-term. Parents that take their children to the dentist help them avoid countless problems that could have been easily avoided through preventative cleanings, which get rid of the buildup of plaque that turns into nasty problems like tooth decay, gum inflammation (gingivitis) and even more serious problems down the road. It’s also not commonly understood that there is a strong, though unclear, relationship, between your tooth health and the functioning of your immune health. Scientists have found links between tooth problems and problems in other parts of the body, including heart disease, arthritis, diabetes, and dementia, among others. If you want more information on this topic, check out WebMD’s article here. 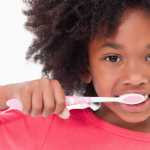 Despite all the evidence for the importance of dental care, tooth decay remains a chronic condition among children. The Centers for Disease Control and Prevention (CDC) states that “23% of children between 2 and 11 have AT LEAST one primary tooth with untreated decay.” That’s approximately one in four children in America already experiencing tooth problems! If you are a parent looking for affordable pediatric dentistry for your child, you don’t need to look any further than Penn Dental Medicine. We treat children for minimal cost, absorbing this cost into our educational curriculum. Your child will be treated by a student doctor supervised by the best in the field at low prices that you can afford. Don’t delay getting your child the health he or she needs. Call us today at Penn Dental to schedule your first appointment: 215-898-8965.